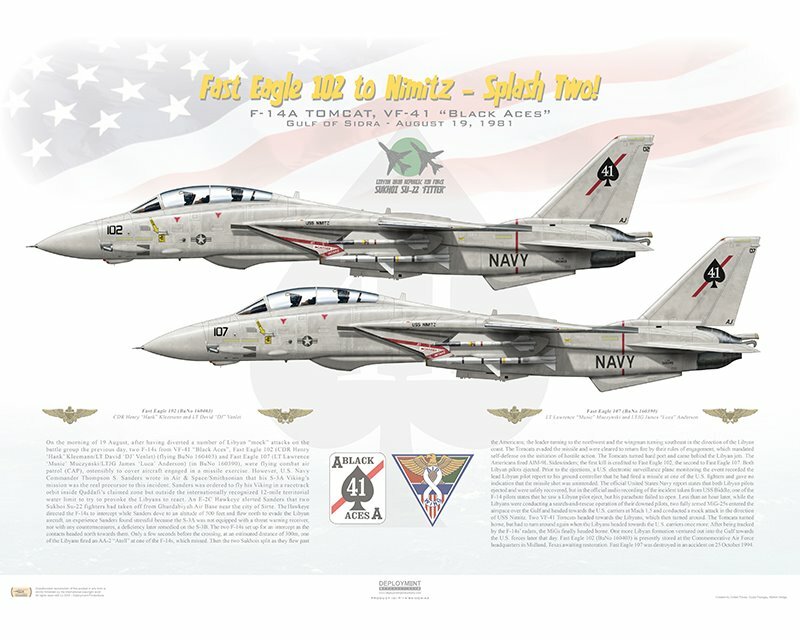 Fast Eagle 102 to Nimitz - Splash Two! On the morning of 19 August, after having diverted a number of Libyan “mock” attacks on the battle group the previous day, two F-14s from VF-41 “Black Aces”, Fast Eagle 102 (CDR Henry ‘Hank’ Kleemann/LT David ‘DJ’ Venlet) (flying BuNo 160403) and Fast Eagle 107 (LT Lawrence ‘Music’ Muczynski/LTJG James ‘Luca’ Anderson) (in BuNo 160390), were flying combat air patrol (CAP), ostensibly to cover aircraft engaged in a missile exercise. However, U.S. Navy Commander Thompson S. Sanders wrote in Air & Space/Smithsonian that his S-3A Viking’s mission was the real precursor to this incident. Sanders was ordered to fly his Viking in a racetrack orbit inside Qaddafi’s claimed zone but outside the internationally recognized 12-mile territorial water limit to try to provoke the Libyans to react. An E-2C Hawkeye alerted Sanders that two Sukhoi Su-22 fighters had taken off from Ghurdabiyah Air Base near the city of Sirte. The Hawkeye directed the F-14s to intercept while Sanders dove to an altitude of 500 feet and flew north to evade the Libyan aircraft, an experience Sanders found stressful because the S-3A was not equipped with a threat warning receiver, nor with any countermeasures, a deficiency later remedied on the S-3B. 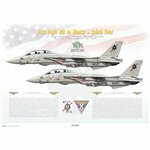 The two F-14s set up for an intercept as the contacts headed north towards them. Only a few seconds before the crossing, at an estimated distance of 300m, one of the Libyans fired an AA-2 “Atoll” at one of the F-14s, which missed. Then the two Sukhois split as they flew past the Americans; the leader turning to the northwest and the wingman turning southeast in the direction of the Libyan coast. 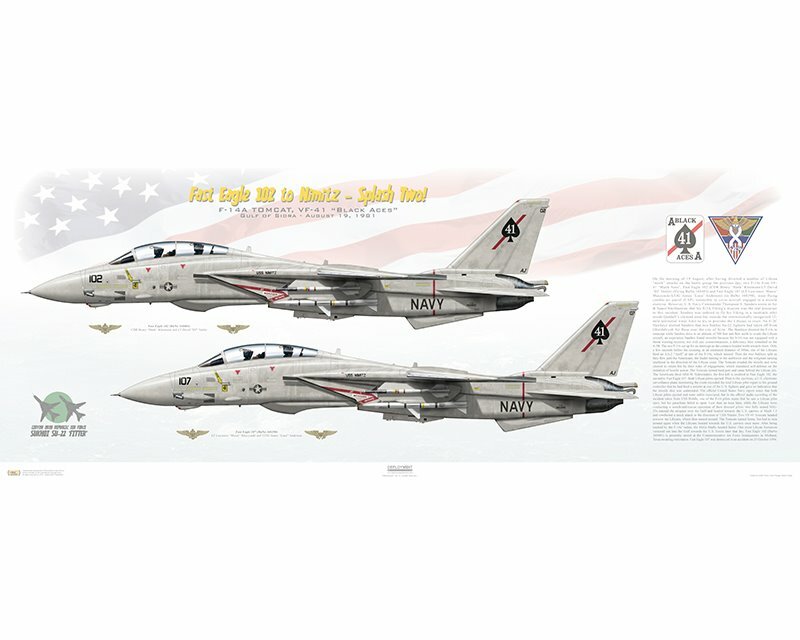 The Tomcats evaded the missile and were cleared to return fire by their rules of engagement, which mandated self-defense on the initiation of hostile action. The Tomcats turned hard port and came behind the Libyan jets. 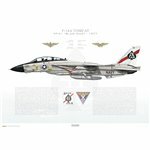 The Americans fired AIM-9L Sidewinders; the first kill is credited to Fast Eagle 102, the second to Fast Eagle 107. Both Libyan pilots ejected. Prior to the ejections, a U.S. electronic surveillance plane monitoring the event recorded the lead Libyan pilot report to his ground controller that he had fired a missile at one of the U.S. fighters and gave no indication that the missile shot was unintended. The official United States Navy report states that both Libyan pilots ejected and were safely recovered, but in the official audio recording of the incident taken from USS Biddle, one of the F-14 pilots states that he saw a Libyan pilot eject, but his parachute failed to open. 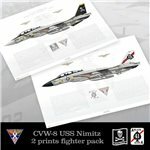 Less than an hour later, while the Libyans were conducting a search-and-rescue operation of their downed pilots, two fully armed MiG-25s entered the airspace over the Gulf and headed towards the U.S. carriers at Mach 1.5 and conducted a mock attack in the direction of USS Nimitz. 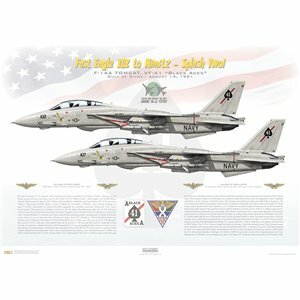 Two VF-41 Tomcats headed towards the Libyans, which then turned around. The Tomcats turned home, but had to turn around again when the Libyans headed towards the U.S. carriers once more. After being tracked by the F-14s’ radars, the MiGs finally headed home. One more Libyan formation ventured out into the Gulf towards the U.S. forces later that day. Fast Eagle 102 (BuNo 160403) is presently stored at the Commemorative Air Force headquarters in Midland, Texas awaiting restoration. Fast Eagle 107 was destroyed in an accident on 25 October 1994.